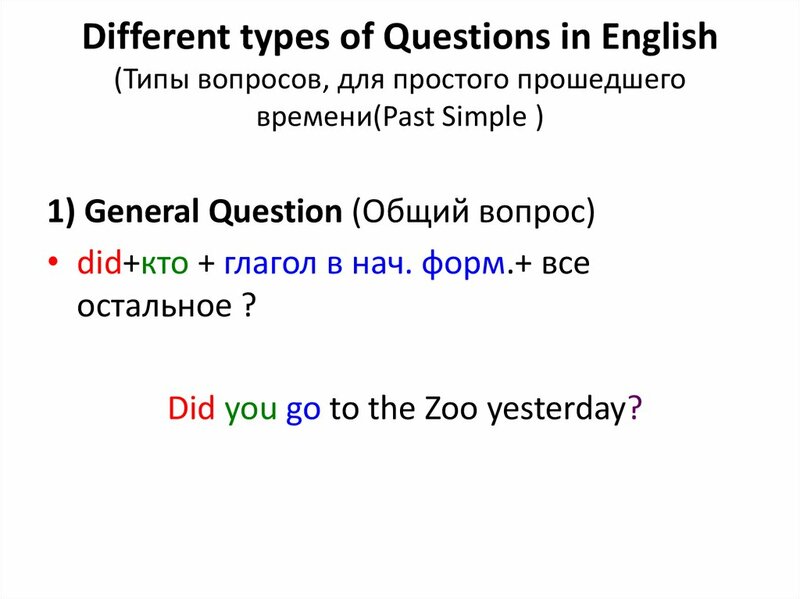 Did you go to the Zoo yesterday? +глагол в начальной форме+ все остальное? Why did your brother choose that book? 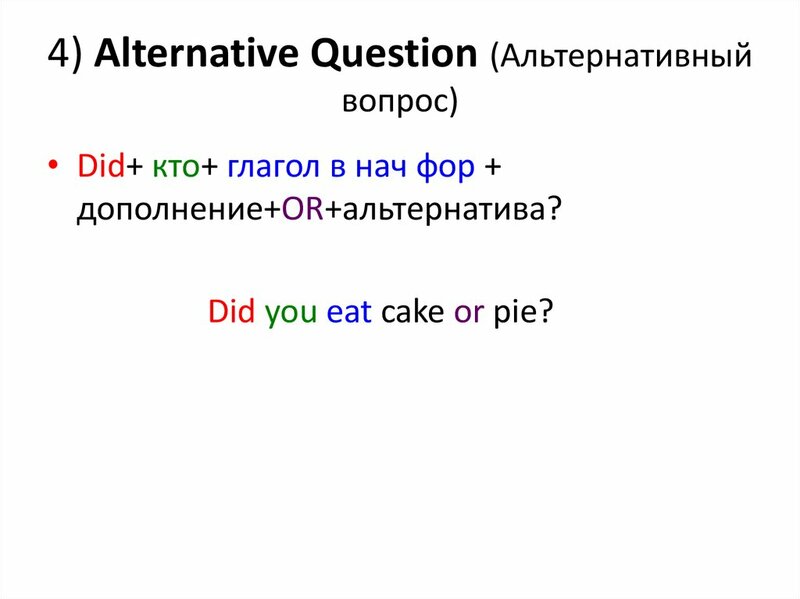 Did you eat cake or pie? • Утверждение + запятая+didn’t+ кто? His mother gave you this book, didn’t she? 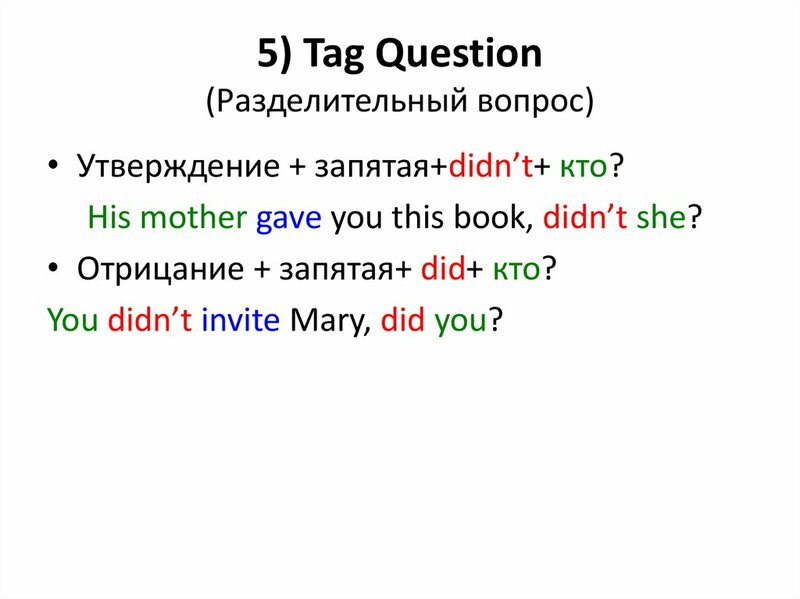 • Отрицание + запятая+ did+ кто? You didn’t invite Mary, did you? 6. The students wrote the test last week. – Студенты писали тест на прошлой неделе. 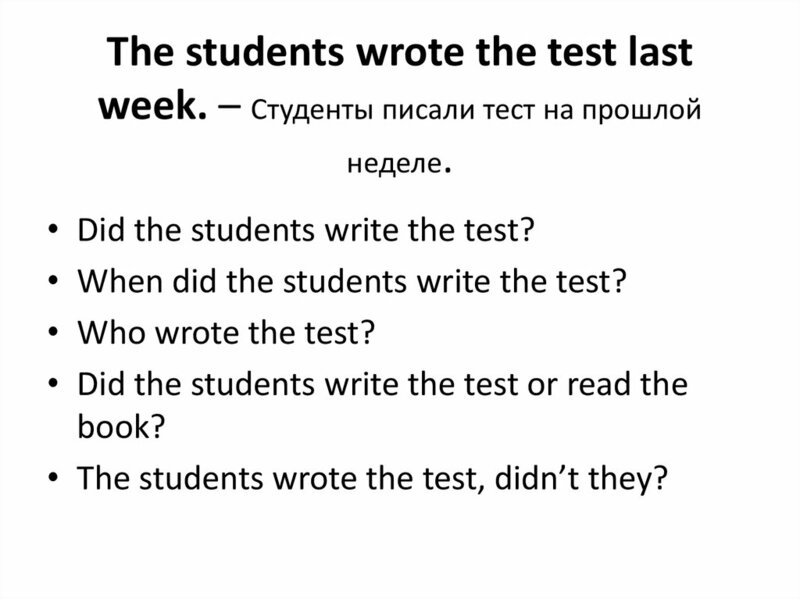 Did the students write the test? When did the students write the test? • The students wrote the test, didn’t they? 7. 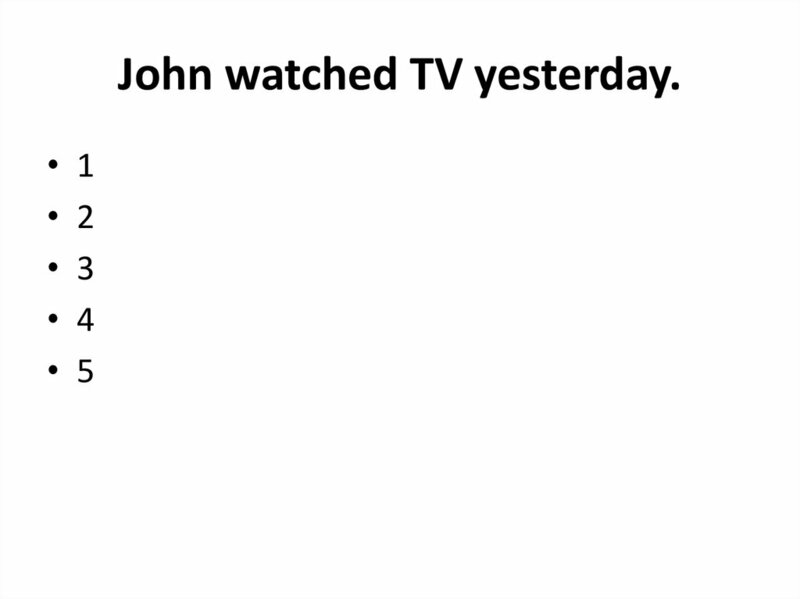 John watched TV yesterday.